Seminar:”Silver Based Photographic Images On Paper. Composite Materials and Their Deterioration. Conservation Restoration”, KUMU, Art Museum of Estonia, Tallinn, April, 2016. Lecture:​”Caring for Family Memories. Collaborative Working When Conserving Framed Daguerreotypes”, The Daguerreotype Symposium 2015, Bry-sur-Marne, 2015​. Lecture:”Daguerreobase: The European Union Daguerreian Era Documentation Project”, The Daguerreain Society Symposium, Austin, 2014. Lecture:”Silver, Mercury and Gold. Understanding and preserving daguerreotypes”, Finnish Museum of Photograpy, Helsinki, 2014. Lecture: Edward Steichen’s The Bitter Years Exhibition. A Project of Many Dimensions. ICOM-CC PMG Interim Meeting, Benaki Museum, Athens, 19-22 October 2010. Lecture: Preserving Photographs in the XXI Century. New Frontiers. ICPAL Istituto Centrale per il Restauro e la Conservazione del Patrimonio Archivistico e Librario, Rome, June 2012. Lecture for Photo Forum (an auxiliary of SFMOMA): 19th- Century Photography in India from the Paul Sack’s Collection, San Francisco. Seminar: Prussian Blue. History and Practice of the Cyanotype Process. Photomeetings Festival, Luxembourg. Seminar: Discovering the Processes of Historic Photographs. Science Festival 2003, MNHA, Luxembourg. Lecture: A History of Photographic Conservation. The evolution of a certain point of view, Centre Universitaire de Luxembourg. Seminar: The Historic Photographic Processes, CNA. Seminar: Identification Techniques for Photographic Materials and their Preservation and Conservation, University of Tor Vergata, Rome. 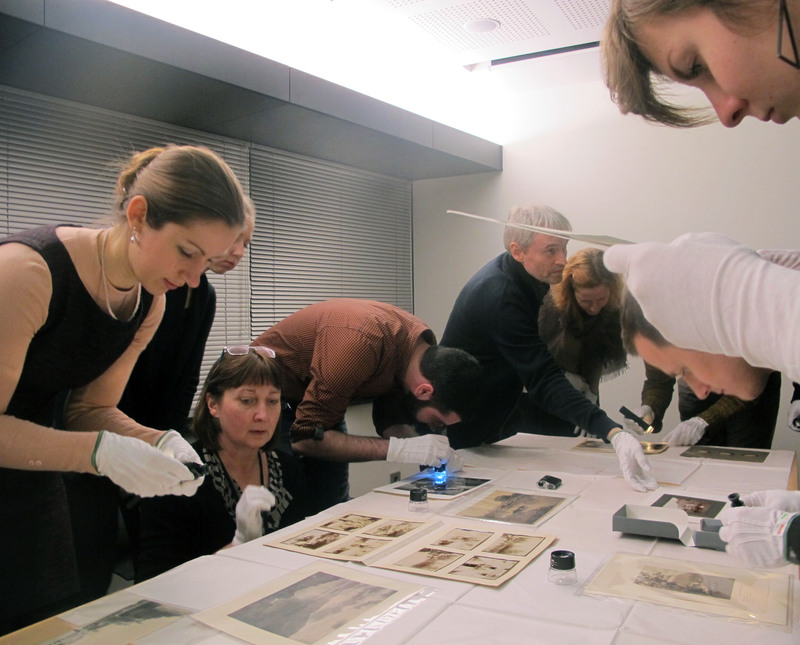 Seminar: Technology and Identification Methods for Main Historic Photographic Processes, CNA. Seminar: Retouching Materials and Methods for Filling Losses in Photographic Prints, Fachhoschule of Bern, (Switzerland). Seminars in photographic restoration at INP-IFROA, Saint-Denis. Lecture : Études des techniques de montages des panoramas photographiques composés des vues juxtaposées sur papier albuminé. Restauration de deux panoramas de J.P.Sébah per il 21st ICOM-CC Meeting, Edinburgh, 1-6 Settembre 1996.